What can we say about Billy? Pictures do not do him justice nor give you the experience of his unique temperament, personality, and disposition. 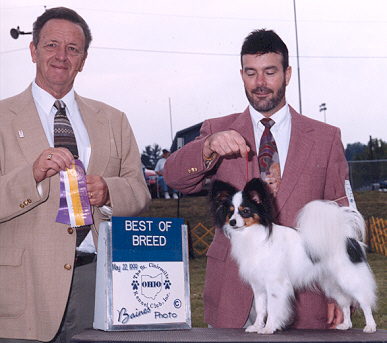 After contacting many Papillon breeders in the country, I found a responsible, caring, and friendly one in Arizona. Helen Angle of Ken Mar II cares about the happiness and welfare of her dogs more than anything. She is a great person. We are indebted to her for life. Her trust in us with "Cinco" meant a lot to us.